It’s estimated that one out of every three adults has high blood pressure and only half of them have it under control. This is a big concern for Fan Yang, MD, at Healthville PLLC, because untreated high blood pressure leads to heart disease and kidney disease. To schedule an appointment for blood pressure monitoring or ongoing medical care if you already have high blood pressure, use online booking or call the office in Little Rock, Arkansas. Why is blood pressure dangerous to my health? High blood pressure damages blood vessels, creating rough spots where cholesterol accumulates. As cholesterol builds up and hardens, plaque develops. Plaque interferes with blood flow and increases your risk of having a heart attack or a stroke. High blood pressure (hypertension) also contributes to kidney disease. When it goes untreated, it damages blood vessels in your eyes, which can lead to vision loss. Here’s another reason why high blood pressure is so dangerous: It sneaks up on you. It seldom causes symptoms, even when your blood pressure is severely high. As a result, it can cause damage for years without your having a clue. 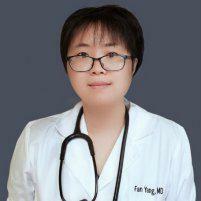 Dr. Yang offers blood pressure monitoring. Routine monitoring lets you know as soon as you begin to develop hypertension. Ongoing monitoring also helps keeps blood pressure in the normal range if you’ve already developed hypertension. High blood pressure may be caused by an underlying health condition. For example, diabetes, obstructive sleep apnea, kidney disease, and thyroid disease can all lead to hypertension. Lifestyle changes like losing weight and reducing salt often effectively lower blood pressure. As a result, these changes are the first line of treatment for hypertension. Dr. Yang provides the information you need to transition to a healthier lifestyle. Routine blood pressure monitoring, whether at home or in the office, is also an important part of your treatment. If your blood pressure is dangerously high, or if lifestyle changes don’t bring it into the normal range, then Dr. Yang provides medication management. Several types of medications are available to treat hypertension; Dr. Yang prescribes that one that’s best for your overall health. To schedule blood pressure screening, call Healthville PLLC or book an appointment online.